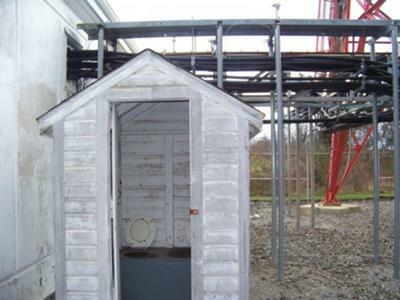 An old AT&T TAG tower with a outhouse right under it? Pardon the pun but I wonder if the service there is crappy. So your cellular service stinks and you can't figure out why all those calls are getting dumped?